Because minerals are the building blocks of life, and because there is no place on earth with a higher mineral concentration than the SEA, we at Life Leader Products feel that it makes sense to use this source in our formulas. 92 elements have been identified in seawater and there are many others not yet identified.This mineral content is almost constant from Sea to Sea. What about minerals from petrified pre-historic forests (plant minerals)? Most, if not all, plant based mineral products are derived from the leachate of a particular shale mine in Utah USA. This leachate is rich in minerals. However, the disadvantage of getting minerals from such plant based sources is that plants, when they were growing, selected only what they required from the mineral menu. So a sample mineral readout from one end of this shale mine can be very different from another part of the mine where there may be more or even a lot less minerals! It’s just too uncertain for us. On the other hand, all minerals on earth, whether from the mountains or soil eventually end up in the Sea, which covers 70% of the globe. No place on earth has a higher or more stable mineral concentration. 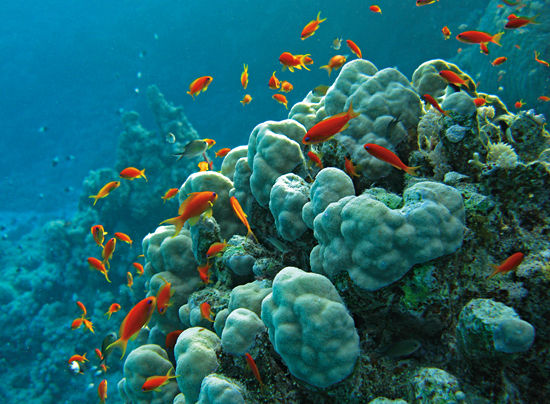 Remember too that Sea minerals have been processed through plants and corals countless times over the Millenia. They have become so refined and ionized that they are highly absorbable to all living creatures. CAN SEA WATER BE CALLED A PLASMA? in 1897 a French doctor called Renee Quinton found that sea water isn’t just water – it’s 98% identical to blood! To be like blood sea water would need an extra molecule of iron and to be like sea water, blood would need an extra molecule of magnesium. Quinton’s theory was that sea water should be regarded as plasma. Even today, saline solution is often given to patients who refuse blood transfusions. It effectively and safely boosts volume in cases of high blood loss. So, all things considered, we at Life Leader Products feel that our beautiful, mineral-laden Seas are the best source anyone will ever find!